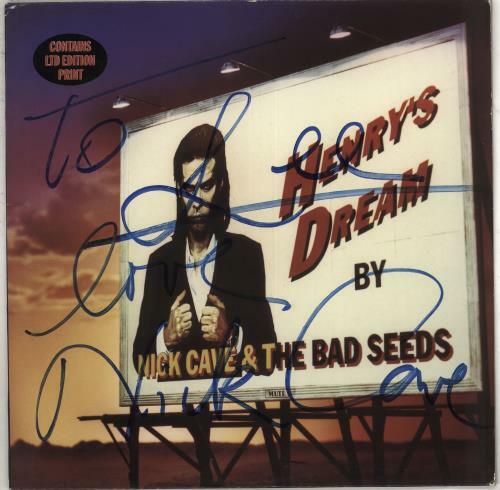 NICK CAVE Henry's Dream (Autographed 1992 UK limited edition 9-track LP, complete with lyric inner, hype-stickered picture sleeve, artwork insert & advertising booklet. This copy has been boldly signed by Nick across the front & dedicated in blue marker pen. 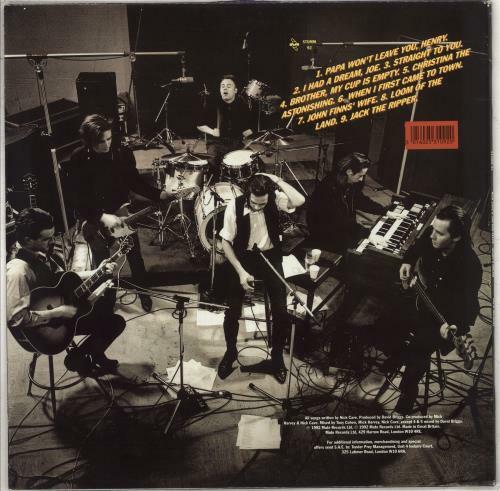 The vinyl remains in Excellent condition with minimal play STUMM92). or visit our Nick Cave image gallery.